In the news this morning, it was all still about the situation on the Somalian pirates. With the hostages and companies paying ransom in Millions/Billions, it was evident that the capital was getting more developed. Shops were even popping up everywhere, here and there. Internet access was getting to them even if last year this was merely impossible that side of the world. Supplied for the pirates were even given ahead of time at a higher rate , but it is still getting paid because of the lucrative business of local pirates. Weather the money was coming in legal or illegally, the development in these cities (mostly the capital) were evident. People were treating these Pirates normal. The US and Nato forces were also not interested in sending and wasting warships for this cause. Private companies were advised to secure their tankers and ships with their own private armies to resolve this crisis. 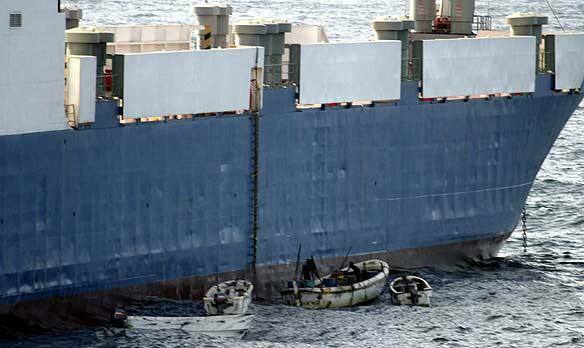 MV Sirius Star Pirates were demanding 25 Million Dollars for ransom.